How Ying Shuling, ‘the most reliable player of capital operation’, leads Hero Entertainment to reform the traditional eSports industry? One cannot digress from the mobile eSports if he makes an annual summary for 2017. In the first half year, the primary school students had just complained that female college students could do nothing but lose their lives in the game of Arena Of Valor; In the second half year, the Internet catchword ‘Winner winner, Chicken dinner’ had easily started the wars in the eSports industry. Among the competitors, a figure has brought more expectations for the matter of the mobile games in 2018. As one of the earliest game makers in the field of mobile terminal FPS in China, Hero Entertainment announced in November 2017 that it would launch the mobile game “Chicken Eating” (Playerunknown's Battlegrounds) – Code: HERO. Before that, Seasun Entertainment, Xiaomi Entertainment, NetEase and Tencent had successively announced their plans to join the “Chicken Eating” project. 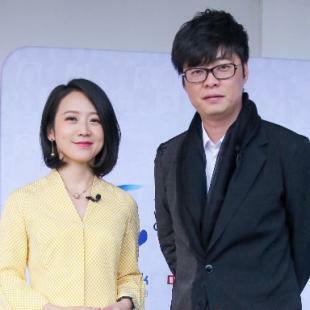 Ever since its establishment, Hero Entertainment has been no lack of discussions in public opinions: these topics such as being listed in China’s New OTC market, being invested by key figures Shen Nanteng, Bao Fan, Xu Xiaoping, Wang Zhonglei, and Wang Sicong, and being valued up to ten billion yuan have completely attracted great attention. Hero entertainment, who has gained reputation and experience through ‘Crisis Action’, is undoubtedly witnessing the miracle of ‘geometric growth at the age of the Internet’. Then, in the next decade, will mobile eSports get on a broader stage? Whether Hero Entertainment can stay on the top of the waves? Let’s listen to Hero Entertainment’s founder Ying Shuling. Why can't mobile eSports eliminate traditional eSports? Dating back to November 2015, Ying Shuling raised 1.9 billion yuan from Huayi Brothers Media Group and signed a gambling agreement: for the next three years until December 31, 2018, Hero Entertainment promised a target net profit after tax in 2016 being no less than 500 million yuan after having being audited and a net profit increase of 20% per year for the next two years. This implies that, in the next three years, the total net profit of Hero Entertainment cannot be less than 1.82 billion yuan, thus setting a new record of the gambling agreement in China’s new OTC market . Ying Shuling, the CEO with a strong adventurous spirit, waved his hand and said, ‘It is not difficult.’ This is not his first adventure, nor the last one. On June 16, 2015, Ying Shuling left the CMGE (China Mobile Game Entertainment) and succeded in his “Second Venture” by establishing Hero Entertainment. It’s quite a rebirth for him to choose the date of establishment to be on his 34-year-old birthday. The mobile e-sports has become the company's main strategy since then. He saw the potential of the mobile Internet and the mobile games and it turned out that he did not bark at the wrong tree. Ying Shuling is quite keen on the perception of the game due to his adherence to two hours’ game per day. As early as 2 years ago when Hero Entertainment was established, Ying Shuling put forward in a conference the concept of “mobile e-sports” and, as a result, he received a friend’s concern about “whether he was marginalized” after the speech. ‘Since mobile phones can eliminate computers, why can't mobile e-sports eliminate traditional e-sports? Mobile e-sports are convenient, the number of users is huge, and they are more in line with sportsmanship.’ Mobile e-sports is an e-sports model based on the mobile phones. In the past, it took ten computers to play an e-sports game, but the computers were heavy, troublesome and had to be plugged in. But now, three or two friends at the party in the cafe can play a mobile game. Before the establishment of Hero Entertainment, Ying Shuling, the then CEO of CMGE, sponsored the newly born mobile game competition WECG. After that he mapped the production and distribution of the mobile games and invested in the R&D of ‘Crisis Action’ and ‘Dance Together’. Among them, ‘Crisis Action’ is the world's first FPS competitive mobile game. On the first day of its distribution, ‘Crisis Action’ broke through the sales of 10 million yuan and became the dark horse in the mobile game industry, triggering the blowout of the entire mobile e-sports industry. Is Ying Shuling messing up the game industry? The discussion about Ying Shuling and his Hero Entertainment never seems to digress from the topic of the capital: from being listed in China’s new OTC market on the first day of its establishment to acquire the 200 million yuan’s investment by China’s three most famous investors Shen Nanpeng (Sequoia China), Bao Fan (China Renaissance), and Xu Xiaoping (ZhenFund) in the first round of financing, and from the 100 million yuan’s investment by ‘overbearing’ CEO Wang Sicong in the second round of financing to the bold 1.9 billion yuan’s investment by Wang Zhongjun and Wang Zhonglei (Huayi Brothers Media Group) in the third round of financing…Behind the gorgeous capital myth, there is a lot of controversy about him: Why is it Ying shuling? Is Ying Shuling good at taking advantage of the capital or just messing up the game industry? ‘When I began setting up Hero Entertainment, I have been in business for more than seven years. Hero Entertainment is basically the third listed company during these seven years. It would be strange that there was no supporter for the third business after two times’ entrepreneurial success.’ Sing Shuling is very indifferent. In the year of its establishment in 2015, Hero Entertainment has successfully gained 19 million yuan. Its interim revenue in 2016 has increased by more than 40 times year on year and its main business is running normally. A complete industrial chain of Hero Entertainment has been formed from the product, alliance and competition to communication after the successful running of the world's first mobile e-sports professional league. By January 11, 2017, Hero Entertainment stood out with a total market value of 14.349 billion yuan from more than 90 listed game companies in China’s new OTC market. How to make a cultural export enterprise by means of games export? During Wushu Internet Conference in 2016, Ying Shuling attracted much attention because of a dinner party held by Ding Lei: the participants almost constituted half of China's Internet great figures among whom Ying was the youngest invitee. In this year's Internet conference, Ying Shuling has attracted as much as attention due to his assertion that ‘the export of games’ in a forum, offering new thinking for the industry. If labels have to be added for Hero Entertainment, Ying Shuling said, the first one is that its "current market value is about 13 billion yuan", and the second one is that it’s a ‘China’s cultural enterprise with the highest export revenue in Hong Kong, Macao, Taiwan and Southeast Asia’. Nowadays, Hero Entertainment earns hundreds of million dollars each year in Hong Kong, Macao, Taiwan and Southeast Asia. In the past year, the income growth in Taiwan’s has been nearly eight times, covering more than 25% of Taiwan’s local population. ‘Now that the country is very prosperous, the new generation of Chinese Internet companies have the opportunity to become large cultural export enterprises. What’s more, local people’s acceptance of Chinese culture and Chinese products have far exceeded that of the previous years.’ In Ying Shuling’s opinion, Tencent and Ali are Internet infrastructure suppliers, and medium-sized Internet companies like Hero Entertainment also have their own stages by attracting overseas users. ‘We have the opportunity to become a very good cultural export company in China, and we can also become one of the China's first outstanding Internet multinationals.’ He seems to be very confident. The great future of Ying’s Hero Entertainment can be expected by taking advantage of the mobile eSports. However, Ying’s pressure is still great if taking a review of the 1.8 billion gambling with Huayi: the net profit of Hero Entertainment in 2016 was 532 million yuan, the net profit was 391 million yuan in the first three quarters of 2017, and only one year was left for the gambling. Ai Cheng: Are the children who love playing games all bad guys? Ying Shuling: A child who loves to play games can only prove one thing: he has faster acceptance of new things. Ai Cheng: There are two opinions about your appearance: one is that Ying Shuling is very powerful. He is good at taking advantage of the capital and has created a path by himself, making Hero Entertainment different in applying the capital in the games industry, especially the eSports industry. The opposite is that Ying is messing up the games industry. What do you think about that? Ai Cheng: What is your ambition? Ying Shuling: My ambition is to be an influential e-sports company or an influential sports company in the world. Ai Cheng: It may be sports which are digital, intelligent, and electronic. Ying Shuling: Yes, in fact, nowadays we have a lot of eSports competitions whose number of the audience has exceeded that of NBA and is close to that of the audience of the Olympic Games. I think this is the influence of eSports and eSports are affecting more and more people. Ai Cheng: Since you compare eSports to a state that can replace traditional sports in the future, it must fit with certain commonality of the human beings. What is that? Ying Shuling: We believe that, in the future, the roles of eSports in the world’s sports industry can be generalized into three terms: the first is more Internet; the second is more wise collaboration and the third is stronger. I think that being stronger is what all sports are pursuing.